If you’ve come to my website today, it wasn’t by accident. Well, I don’t believe it was. There are 3 things I don’t believe in: mistakes, right & wrong, and coincidences (not to be confused with synchronicity). I believe you and I have crossed paths for a reason. If you’re anything like me, you are creative, intuitive, self-aware, compassionate. You want to live a purposeful life so that you can be an example to others of a woman who owns her quiet power and wants to use that power for the good of all (including herself). You’re an entrepreneur who wants to do business with a balance of masculine (action) and feminine (creativity, visualising, allowing). You’ve noticed that the way of doing business for women is changing, and more and more women who own their power and know their true selves are coming to the fore. You may find that you’re coming across powerful women who embrace this and have made untold success for themselves (women like Marie Forleo, Danielle LaPorte, Natalie McNeil, Gabby Bernstein). If you’re here, you are ready to harness your innate intuitive abilities in order to guide your life and business to a place where you can create the money you know is needed to be, do and have everything you want. I want every woman to know her power; to live and do business more intuitively (alongside taking inspired action). I want you to know that YOU are your gift to the world. And when you show up in the world as your authentic self; with that deep knowing of who you are and what your purpose is, then you have the power to create a life for yourself and those around you beyond what you thought (or rather, was told) was possible. I’m an intuitive coach and mentor. I believe in being the best version of myself that I can be, so that I can stay connected to my purpose and help women do the same. I was a child who lost herself to what others told her she should be thinking and doing and showing up as. I was very intuitive (and apparently had an imaginary friend or two) and I saw the world in a different way to what everyone around me did. Have you ever had the feeling that you are surrounded by people who just don’t get you? But your way just makes so much sense? Do you get resistance from those around you when you put your intuitive idea across? Are you faced with blank stares when you voice your take on things? That was me. I learned very quickly to ‘fit in’ with what the world wanted to see and hear. I always had intuitive urges to go in a certain direction, but was told by the people of influence, “No, that’s not how it works”, “You can’t do business like that”, “You’re asking for failure if you try to do it this way”. I eventually believed that they were right and I must be wrong. Corporate was where I started out, after studying Public Relations and majoring in Communication and Psychology. I landed a great job in Internal PR at one of the largest companies in South Africa. My life seemed to be going swimmingly…to outsiders. I had purchased my first apartment at the age of 21, was nominated for an award at age 23 for a special edition of the House Journal I had researched, written and edited. I was seconded to a Change Management team during a massive corporate restructuring and put in charge of communicating to the 3,500+ staff. Mentally, though, the effort of not being my authentic self (not realising I was doing this, of course) started to take a hold and I spiralled into a place that I could not find a way out of. Diagnosed with severe clinical depression after a breakdown at work, I was hospitalised, given a few rounds of ECT (Electro-convulsive Therapy), and then sent back out into the world on a high-dose cocktail of anti-depressants, mood-stabilisers and anti-psychotics. I couldn’t answer that because I couldn’t tell whether the thoughts I was thinking were coming from me, or whether they were being skewed by the drugs and their side-effects. I boldly announced to my psychologist at the time my intention to wean myself off all medication completely. His retort was the ever-familiar, ‘You can’t do that’ and ‘It doesn’t work like that’. He told me that clinical depression as severe as mine had been required me to take this medication for the rest of my life. ‘You’ll just have to accept that,’ he said. I devoured every book I could find on depression, life, psychology. My spiritual awakening (remembering) happened at the same time. One book in particular had opened me up to a new awareness: that everything is energy and that our thoughts create our reality. I looked up ‘illness’ to see what the author’s take on it was. Wow. Okay. I began to look at my glass-half-empty, conditioned way of thinking and got to work on changing my thoughts around. Through this journey I learned that life works like this: If you’re going to continually do what everyone else tells you to do and not tune in to what you want and who you really are, there’s a good chance you’re going to crash and burn eventually. I cured my clinical depression. It is gone. It has never returned, even after the birth of each of my 3 children. 12 or so years into motherhood, I was chronically fatigued – though not depressed – and not really feeling fulfilled. Even though I’d mastered ‘positive thinking’, I still had the negative self-talk (being someone with super-high standards and expectations, whether it was motherhood or business I was navigating, I just couldn’t stop being so hard on myself). That negative self-talk was exhausting, and there was another missing piece, too. The missing piece was that I was still not listening to my intuition. ‘Something told me my child should stay at home, but I ignored it and now I feel so guilty seeing how unwell they really are’. I learned to tune in more and overthink less. To be guided by the quiet, steady, all-knowing part of me. My intuition led me to the right clients, to the perfect business mentor, to the most beautiful piece of land for our family home in the exact location I’d been dreaming of, to a better relationship with my husband and my daughters, to the freedom to be me. This is a pivotal time of feminine awakening on this planet, and a time for creating the business and life we love from deep within the core of who we are, and not how other people say we should be doing it. I want every woman to feel their true power and connect with their true selves. Combining the mindset tools I used to cure my depression, together with the power of tapping into intuition, I help women move forward rapidly in their life and business. You are one of those women. I want you to have the tools and techniques and strategies to master your thoughts and break through your beliefs about yourself and your worth. I want you to step into that place of self-acceptance and purpose. I want you to be the authentic person you feel is calling from deep inside you. I want you to know you can do this without it being at the expense of everyone around you. It takes courage and determination, yes, but the more you practice the inner work, the easier it becomes. It also takes a willingness to think differently and see the world through your own eyes; not the expectations or conditioning we’ve been trained to see it through. At the end of the day, it takes no effort to be you. Are you in, beautiful, powerful woman? Learn more about working with me ﻿﻿﻿HERE. Find out if we're a fit + get clear on what you want and what's stopping you from moving forward to get it. Karen Geddis is an intuitive coach and mentor for woman entrepreneurs who want to move forward rapidly in their life and business. She guides women to harness their intuition and break through the beliefs holding them back from being confident enough to be their authentic selves and succeed. 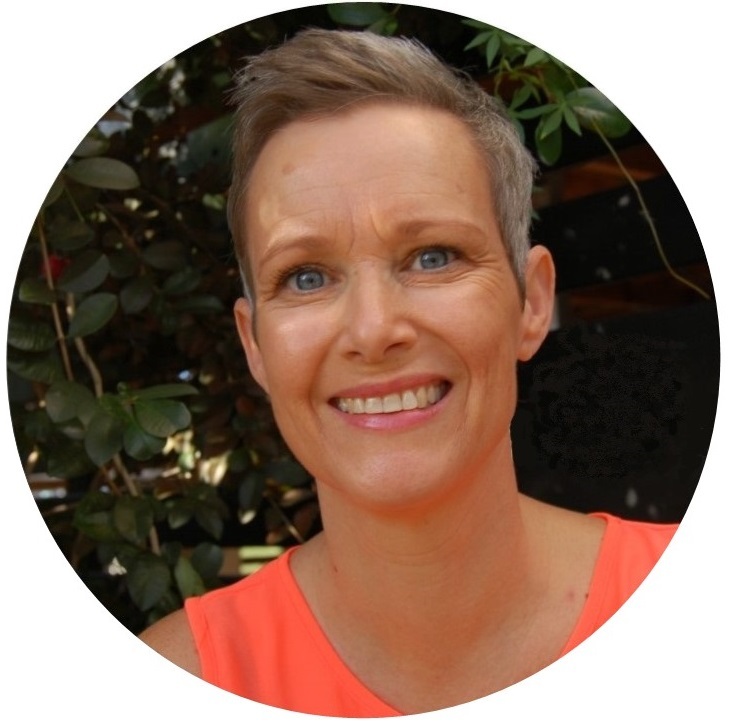 She runs 1:1 transformational 12 week programs and women’s workshops. Find out more about her at www.karengeddis.com. To contact Karen please get in touch HERE.